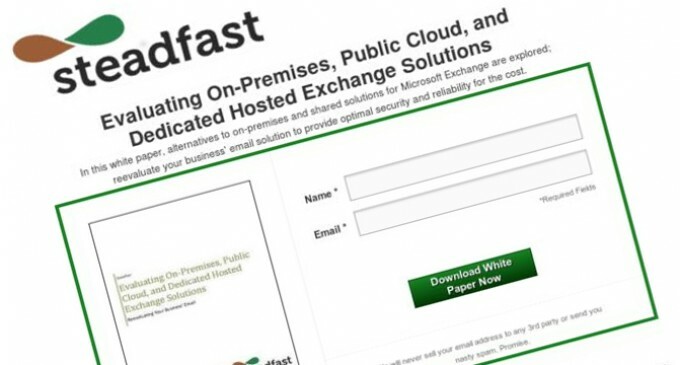 CHICAGO, ILLINOIS – Steadfast.net has issued a very enlightening Whitepaper that details the appropriate methodology in evaluating Business Email Solutions. It is available now at no cost, and is a very worthwhile read. Steadfast Networks is a Chicago based IT infrastructure provider that specializes in highly flexible cloud environments, dedicated servers, and managed Colocation services out of fully redundant data centers in Chicago and New York. Their services are most suited to small to medium sized businesses, the financial sector and Internet/Network service providers.